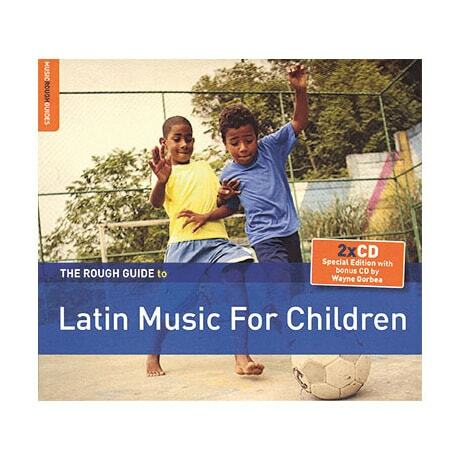 With its engaging melodies and compelling dance grooves, Latin music appeals to kids as easily as it does to adults. This 13-track sampler includes Afrocubism ("A La Luna Yo Me Voy"), Retrovisor ("Mengano"), Columbiafrica: the Mystic Orchestra (the cheery "Quien Manda a Quien"), Sierra Maestra (the seriously grooving "Llora Como Yo Lloré"), and Novalima (the uplifting "Se Me Van"). Japanese salsa star Yoko demonstrates her authenticity on "Empezó la Fiesta," while Dan Zanes—completely at ease singing en Español—and Lila Downs steal the show with "La Bruja." The bonus disc features the high-energy music of Wayne Gorbea's Salsa Picante; expect plenty of relentless, old-school brass numbers.